2016 Futurity Grey Color Champion! 1st Place 2016 AOA Nationals!!! 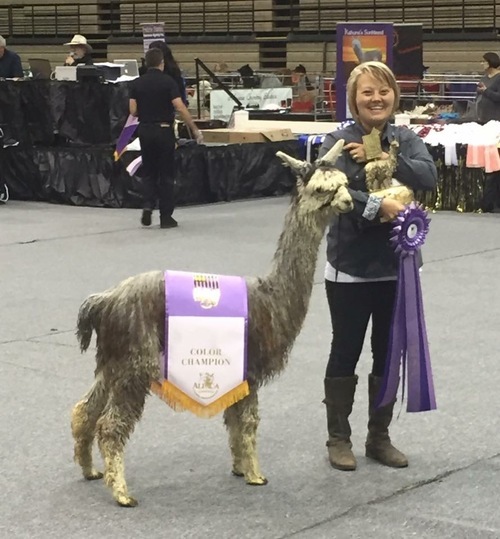 Michelle is from the Full Peruvian half Accoyo sire, Hershey’s Hugo whose dam was a Peruvian imported with a SUPERIOR rating and sire was the famous Peruvian Accoyo Hershey. 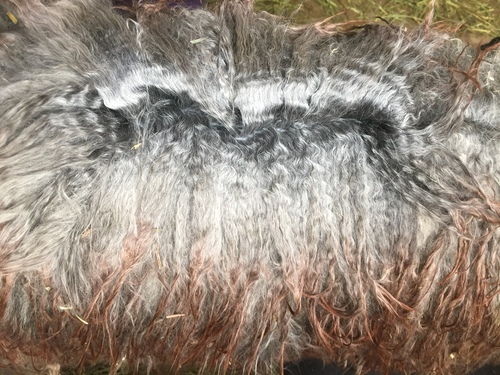 Her dam, sports lineage from 4Peruvuan Renzo and 6Peruvian Silver King and I have been recently told that she is still producing baby fine fleece. It was extremely difficult to consign RGSA Eleanor because she has become a farm favorite! She is the first and currently the ONLY grey offspring from GLR Nico to date! We are so pleasantly pleased with her, she is truely a stunning magnificent example of how far grey fiber has come with progressive breeding and this girl would certainly give a lot of whites, fawns and browns a run for their money! 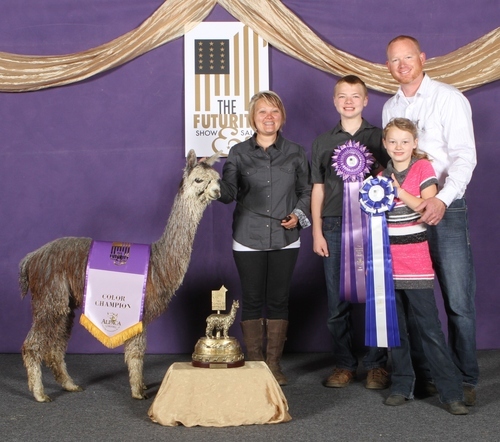 Her maternal sister took home the Reserve Championship at Futurity in 2015 and we believe Eleanor is even better! 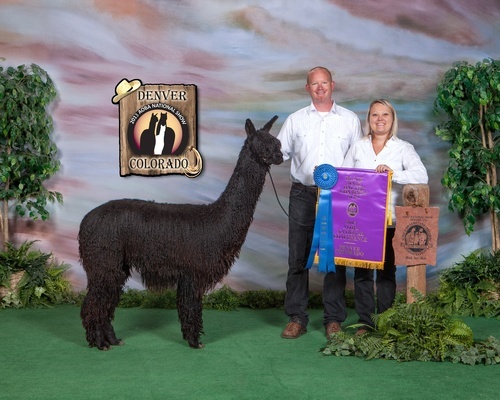 Eleanor's dam, ATV Michelle my Belle, has produced champion offspring for us in the past and maintains a very top tier foundation female her at Rogue Suri Alpacas! 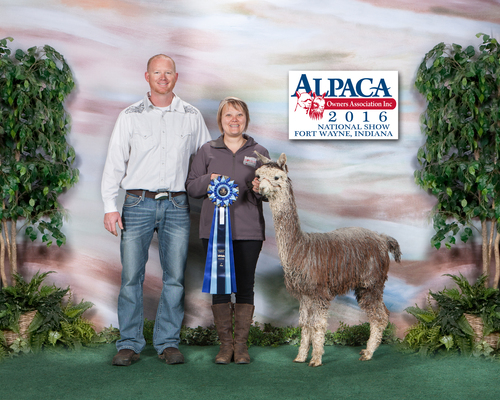 Eleanor's sire, GLR Nico, a 12X Champ, whose crias are dominating the show ring as he continues to produce prize winning crias for us! Eleanor, yes, Eleanor, the mystic one, unattainable, elusive Eleanor! There is a bit of PURPLE in the future for this girl! 1st Place AOA Nationals Hlater 2016 (not enough for a championship) Jude Anderson explained she was the clear winner in the class, exhibiting a very high degree of luster on a well built frame and very dense and soft.